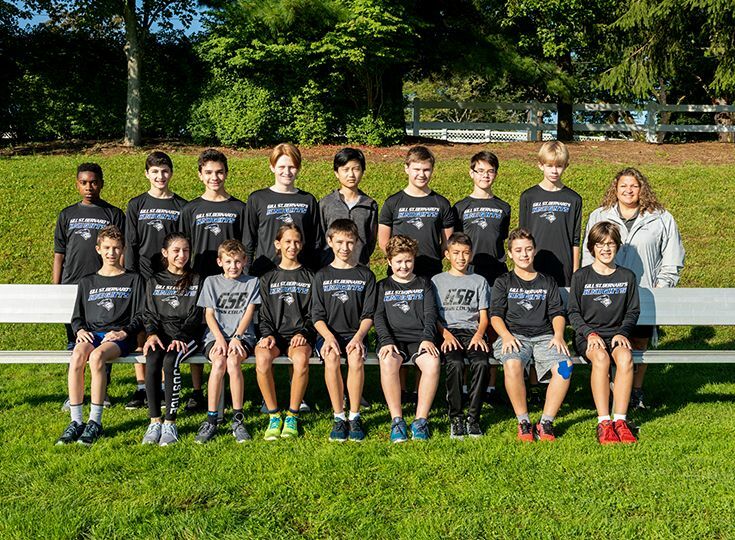 The Middle School cross-country team completed another strong season. The team consisted of 26 runners from fifth through eighth grade, with the majority of the athletes in the younger grades. The boys and girls had a combined regular season record of 7-7-2, with the boys going 6-3 and the girls finishing with a 1-4-2 record. The Knights did especially well at championship meets. At the Ed Scott Invitational, the girls finished fourth and the boys placed sixth out of nine teams. Seventh-grader Zoe Calimani finished fifth, eighth-grader Brendan Halstead finished 12th, and fifth-grader Cece Criscola finished 17th out of a field of 63 boys and 51 girls. At the 19th annual GSB Pumpkin Run on October 26, Calimani placed seventh overall out of 97 female runners.